Invincible is book 5 of Gabrielle Evan's Haven series. Each book is a continuing story but can also be read as a stand story without difficulty. The story revolves around one of the elders of the paranormal creatures set in an alternative Earth. Torren is elder of Magiks. He's a witch and finds in Aslan his infinity, or soul mate. Drama ensues as they deal with coming together, discovering their past lives with each other, and dealing with Aslan's ability as a threshold of the dead. The book is excellently written; it flows well overall, and is highly engaging. I had no trouble sympathizing with either of the main characters. There's good symmetry with powers, abilities and the rules of the world. The supporting characters are strong and there are plenty of indications of future relationships. She also does well in updating the reader on past relationships. There were a few spots where there could have been more description in action scenes and a few scenes that felt a little rushed. This is one of my favorite series by Ms Evans. 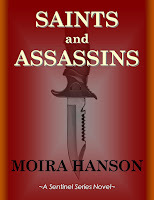 It's engaging, well written overall, well edited, long enough to satisfy and short enough to leave you wanting more. The transitions from book to book are smoothly done and because each story focuses on a particular couple while still having characters from the previous stories around you can enjoy it as a series or as a standalone read. 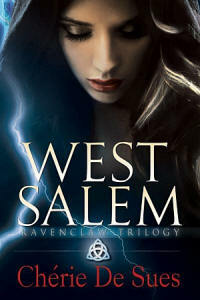 Whether a diehard or new fan you won't be disappointed with this installment of Ms Evans' series.